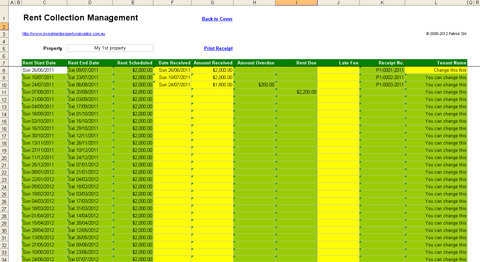 This Investment Property Rent Collection Management Spreadsheet is built to assist you with rent collection for up to 50 investment properties. Note: You will get $64.99 FREE bonus (see the table below) when you purchase the Investment Property Rent Collection Management Spreadsheet. 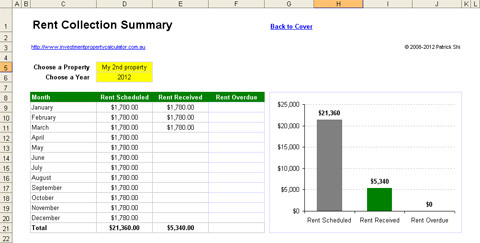 Download the Investment Property Rent Collection Management Spreadsheet trial here. Please note: After the free trial period you will have to purchase an unlock code if you want to continue using it. The unlock code will turn the trial to the full version. Please understand the unlock code is NOT the password to unprotect the worksheet(s). If you have tried the Investment Property Rent Collection Management Spreadsheet and now need an unlock code to turn the trial to the full version, please click the button below. 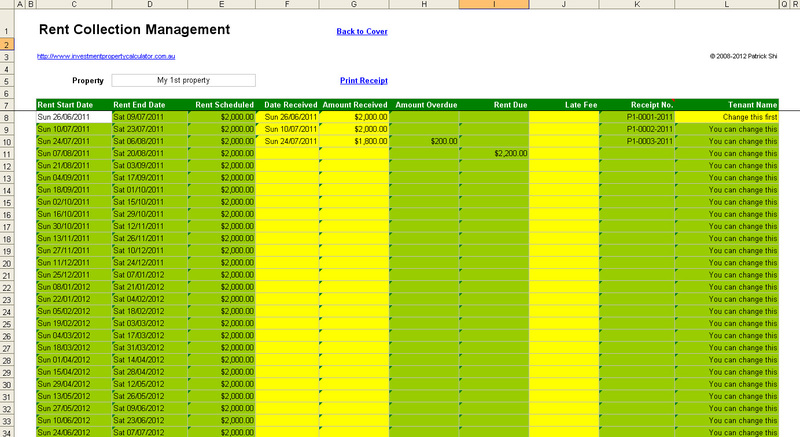 Here is a list of features that this Investment Property Rent Collection Management Spreadsheet has. 11. 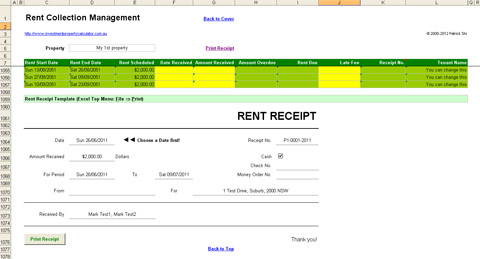 Shows a summary of rent scheduled, rent collected, and rent overdue as well as a comparison chart to evaluate actual rent collection performance compared to scheduled rents by year and by property. This calculator is built in Microsoft Excel worksheet. You need to have Microsoft Excel 2007-2013 and Microsoft Windows to use it. You may be able to use the calculator with other applications that can open and read XLS spreadsheets, but this has not been tested. Here is a screen shot that will give you a better idea that what you need to do and how this Investment Property Rent Collection Management Spreadsheet can help you. You may want to try the new Investment Property Record Keeping Spreadsheet now for FREE! NO obligation to purchase!